The exhibitions have closed with record results confirming their leading role in residential and industrial installations, HVAC&R, and renewable energy sectors. MCE wins over new audiences: institutions and citizens, thanks not least, to MCE in Città. 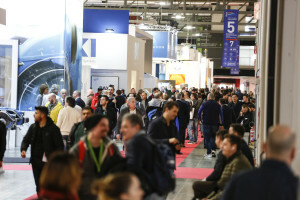 Milan, 16th March 2018 – More than 2,400 exhibitors and 162,000 trade visitors who made their way to the show from all over the world, with a 6 percent increase in the number of visitors from overseas as well as a 4 percent rise from Italy, confirm the HVAC and sanitary ware industries are continuously growing. MCE – Mostra Convegno Expocomfort and BIE – Biomass Innovation Expo 2018 offer a host of networking opportunities for building stable business relationships across the four thematic areas, namely heating, cooling, water and energy for an industry sector, which will record high revenues for 2018 of € 11 billion, up by 2.8 percentage points. Production growth was driven by an all-time high in exports, which accounts for 60% of the country’s national output. 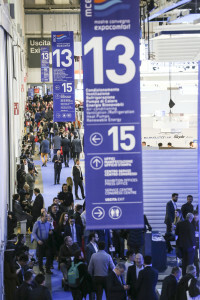 Moreover, there have been increases in numbers of overseas trade visitors coming from 140 countries such as India, Country Guest of the 41st edition of MCE, Asia on the rise with high levels of attendance from the Far East (China, Japan, Vietnam) and the Middle East (Jordan, Saudi Arabia, Syria and Palestine). In addition, the Americas registered major increased figures (not only US and Canada, but also Argentina and Uruguay). As is customary, the European presence was also significant, notably Ukraine, Romania, and Croatia. Over 100 events carefully studied to offer a live experience to foster contacts, exchange ideas, and develop discussions with professionals, institutions and companies. The whole calendar was complemented with somewhat technical and targeted initiatives, whose purpose was to help participants improve their professional experience, thoroughly examine industry sectors, and assess the impact of the Internet of Things on HVAC market. Energy efficiency was the theme of the conference programme. According to the report presented by Professor Vittorio Chiesa, Chairperson of the Scientific Committee of MCE, the volume of investments in Italy reached € 6.5 billion in 2017, of which 52 percent in the residential sector. The investment outlook for 2018 will vary between € 8.4 and over € 10 billion depending on financial incentives. Financial savings made through energy efficiency investments rose to 33 percent for HVAC facilities, 8 percent for Mass Market Distribution, 29 percent for the healthcare sector and 55 percent for commercial office buildings. The first edition of BIE – Biomass Innovation Expo dedicated to biomass facilities for domestic heating purposes, was given a resounding “thumbs-up” by the market that showed a 15 percent increase in the first half of 2017, compared to the same period a year earlier, for a sector that is now worth approximately € 600 billion in turnover. Mostra Convegno Expocomfort is the biennial International exhibition dedicated to residential and industrial installations: heating, air- conditioning, refrigeration, hardware, valves, sanitary technology, bathroom, water treatment, tools, renewable energy sources, and services. Devised in 1960 as Italy’s first trade exhibition, MCE has been a leader in the sector for more than 50 years thanks to its proven ability to follow the evolution across the reference markets, creating opportunities for technical, educational and political exchange and discussion. Mostra Convegno Expocomfort is owned by Reed Exhibitions, the world’s leading organiser of exhibitions, trade shows, and conferences, whose current portfolio includes over 500 events in 30 countries with overall attendance figures of more than 7 million participants in 2016. Reed Exhibitions has 38 branches worldwide serving 43 industry sectors. Reed Exhibitions is part of RELX Group plc, the leading provider of professional information and workflow solutions in the business sector. Press Office: Flaminia Parrini, Reed Exhibitions Italia, tel.+39 02/43517038, flaminia.parrini@reedexpo.it.